RUSSIA. Moscow. May 7, 2015. 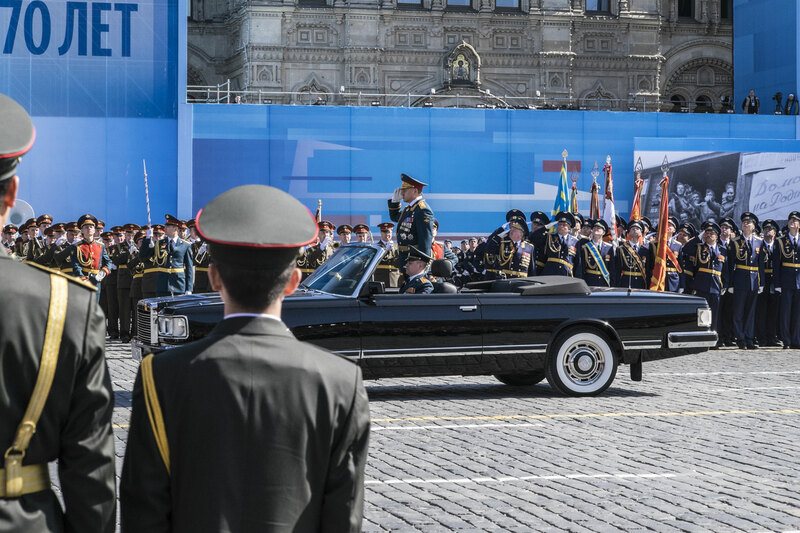 Russian Defence Minister Sergei Shoigu salutes standing in the car during a dress rehearsal of the military parade on the Red Square.